Most commercially manufactured disc drives are sturdy and able to perform well with little maintenance. However, if you have a drive for a long time or use it in a workspace with excessive dust in the air (such as in a factory, on a job site, or in an arid climate), it’s probably a good idea to clean it out occasionally. Don’t make the mistake of thinking that cleaning should be a routine though. In this case too much of a good thing is a real issue, as cleaning a drive can result in damage over time. When a disc drive gets too dirty, it can suffer from increased loading time, skip, or –in extreme cases– even damage discs. 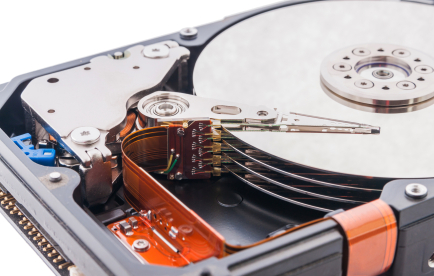 Telltale signs that it’s time to clean your disc drive include an increase in noise as the disc spins and a marked decrease in performance regardless of which disc you attempt to play. If only one disc is loading slowly or skipping then it’s probably the disc that is scratched. If they’re all slowing down then it’s most likely an issue with your drive. Your first course of action for cleaning out a drive should be to blow air into it. Do not blow with your mouth as doing so will send saliva into the drive. Though a hair dryer with a cool setting can be used, it is too inaccurate for this task. Short, controlled bursts are the best way to clean out a drive and not just move dust around. For best results you should use a can of compressed air or an air bulb. If you’re feeling brave, you can also take the drive apart and clean the lens yourself. This can damage delicate components and will likely void your warranty if the product is still covered. It’s probably best to take your drive to a repair shop if you do feel the need to do something invasive. A better option is to buy some extra-long cotton swabs, apply rubbing alcohol to one, and insert it directly into the drive to clean the lens. This can be difficult to do correctly and you still have to be somewhat careful, it’s still safer and less involved than taking the drive apart. Determining where the lens in your drive is may be made easier by looking online for the specifications of your unit. Perhaps the easiest manner to clean a drive is to buy a drive cleaning kit. These are made by many manufacturers and most cost under $20. Each cleaning kit works slightly differently so you’ll need to follow the individual instructions that come with your package. A comprehensive, professional cleaning at a computer repair shop normally provides the best results. This can be monetarily expensive and will also cost you a day or more of down time as you wait for the cleaning to be carried out. With that in mind, the above methods are good first steps if you find yourself in possession of a poorly functioning disc drive. So before spending the money to have it taken apart and professionally cleaned, you should at least consider trying these simple at-home cleaning methods. You are currently browsing the Duplication Centre Resource Centre blog archives for January, 2013.